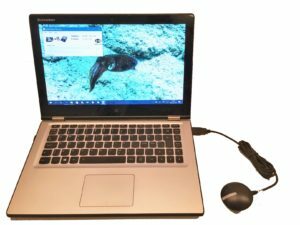 Connects your old NMEA 0183 instruments to your modern Wi-Fi gadgets! NMEA to TCP/IP Transmitter. Transmits you serial NMEA signal into network an IP package. NMEA Multiplexer. Use up to 4 different NMEA 0183 devices that will be multiplexed i.e. GPS, AIS and wind instruments. Use your PC as a GPS transmitter. 2. Start the Techsail NMEA ServerYour NMEA 0183 will be available over IP ! NMEA 0183 messages from a serial port translated into a TCP/IP package. A software Multiplexer of NMEA 0183 messages into one stream om messages as TCP/IP packages. USB port – At leas one available. Operating System – Microsoft Windows 10. Peripherals – Microsoft Mouse or compatible pointing device. Serial to USB – To be able to receive NMEA 0183, you must have a serial to USB adapter. Without it the software has no value. The prices listed here are valid for purchase through the web. Reseller prices will vary.